GRAFTON, VT: There's more to autumn than pumpkin spice flavoring and Halloween: tune into nature and take a closer look at the incredible changes that are happening around us! The Nature Museum has announced new, seasonal programs for kids and families. These programs, which run from October through May, will take participants outside for hands-on learning and a chance to reconnect with nature's seasonal rhythms. Mighty Acorns Club: Fantastic Fall Changes: Colorful Leaves and More! is an interactive program for kids ages 3 to 6 and their caregivers on Friday, October 5 from 10 AM to 11:30 AM. Fall is a time of change: leaves are turning color, apples are ripening, days become shorter, and animals are preparing for winter. Try some apple cider, learn what critters do this time of year, and go on a nature scavenger hunt to see fall with new eyes! On Friday, November 2nd, the Mighty Acorns Club will meet again from 10 AM to 11:30 AM for Connected to Nature: Learning From the Abenaki. Imagine a world without computers, cell phones, cars, stores, and houses. Here in Northern New England, there was a time when none of these things were around! Everything came from what you could find, hunt, gather, and make from the land. For thousands of years, the indigenous Abenaki people have lived in harmony with the land and have gained a deep knowledge and respect for it. 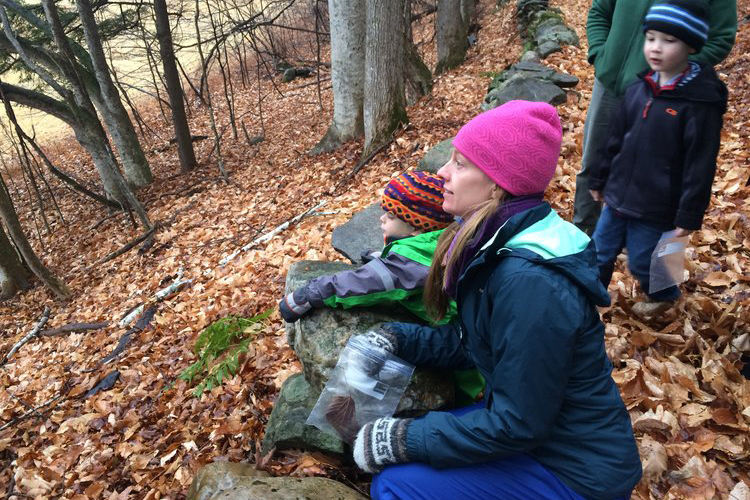 Investigate artifacts, hear Abenaki stories, and go on a hike to connect with nature! The Mighty Acorns Club for preschoolers meets every month at the Museum. Programs are 90 minutes long and include outdoor adventures: children should be dressed for spending some time outside. Mighty Acorns Club is $5 per child if registered in advance at www.nature-museum.org. Drop-ins are also welcome for $8. Caregivers are always free. Kindred Spirits: Native Ways and Giving Nature Thanks is an all-ages adventure on Saturday, November 3rd from 10 to 11:30 AM. This autumnal program for families will explore Native peoples' traditions of living in balance with Earth, the seasons, and other living things. This program will highlight the Abenaki, who live in our region. Come discover hands-on artifacts and learn of the deep understanding, respect, and connectedness the Native people of our region have with the natural world. Be ready to go on a hike to test your observation skills and immerse yourself in the outdoors. Admission to Kindred Spirits is by donation, and families of all shapes, sizes, and ages are welcome to join for a morning of learning and fun. RSVP online: www.nature-museum.org. Located at 186 Townshend Road in Grafton, Vermont, The Nature Museum is a non-profit museum offering hands-on nature exhibits, year-round, interactive programs for adults and children, and an annual Fairy House Festival. Learn more at www.nature-museum.org, and find The Nature Museum on Facebook and Instagram.